Sometimes it is all you need. 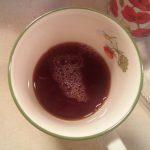 An owl in my teacup. When you work 22/7 as a live-in carer you can sometimes feel isolated, alone, even. I won’t say lonely because there isn’t time for that, particularly if you have a client with dementia; normal conversation can be somewhat sparse. Hence talking to yourself (usually silently) becomes the norm. So there I was 7.30 a.m and grabbing those precious moments between getting out of a strange bed and making happy, positive sounds to herald a new day for my client when I sighed and said (possibly out loud) Is anyone there? A little encouragement would be nice…I’ll admit there have been moments over the years when I could swear I was getting some kind of ‘other worldly’ guidance and support. One client before she died…no point using fancy words…told me she would ‘keep an eye’ on me. Scary I told her with a hug and a laugh. I got on with making my first cuppa. Best one of the day in my opinion and there it was! I laughed out loud and heard stirrings from my client’s bedroom. I peered into my cup and said, definitely out loud this time. She loved owls. Need I say more?